Fish are not the only things waiting for you at the door of many places – ducks, chicken, snakes, rabbits, hermit crabs. If you had it as a childhood pet, you can have it for dinner here in China. Meats are not the only thing that’s super-fresh, the fruit and veg you have here will probably have been up on a tree or in the ground not that long ago. 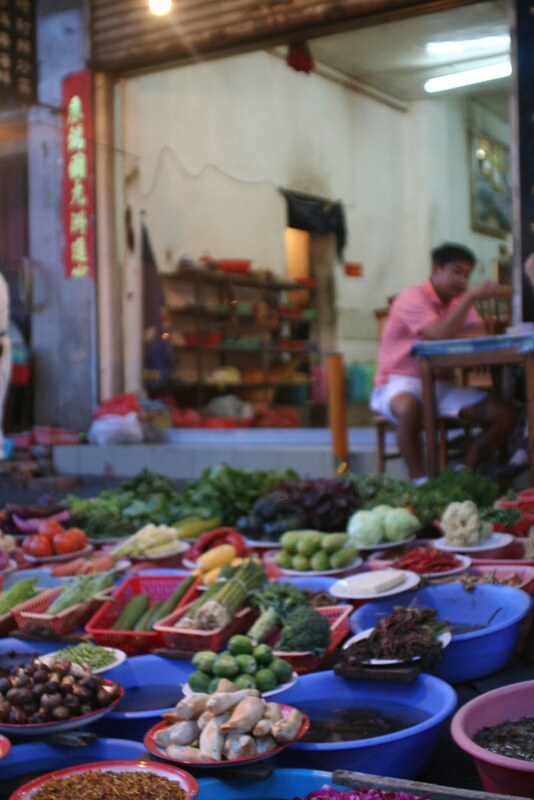 The Chinese will not tolerate food that isn’t fresh. Which is great for us, as we have very weak Chinese language skills we can just walk up to a lot of places and point at what we want and shake our heads at what we don’t want. Green peppers – nod, onions – nod. Eel – head-shake, pigeon – head-shake. We’re making it work.